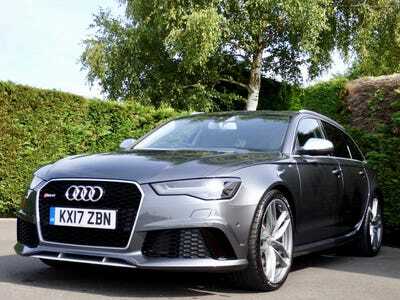 Prince Harry’s old Audi RS6 Avant is on sale on AutoTrader.com. The Duke of Sussex used the wagon to drive his new wife, Meghan Markle, to Pippa Middleton’s wedding in May 2017. Prince Harry’s 2017 Audi RS6 Avant wagon is up for grabs after only a year of ownership. This is the same car the Prince used to drive Meghan Markle to Pippa Middleton’s wedding last year. Now, it’s has been put up for sale on AutoTrader.com with just 4,464 miles on it. According to the dealer, Overton Prestige, the prince’s Audi is available for a cool £71,000 ($AU125,500) or £1475 per month to finance. Among its features, the car comes equipped with BOSE Surround Sound, Audi’s award-winning MMI infotainment system, power-operated tailgate, sport suspension, parking sensors, quattro permanent all-wheel drive with self-locking center differential, night vision camera, deluxe 4-zone automatic air conditioning, LED headlights, a panoramic sunroof, and keyless ignition. 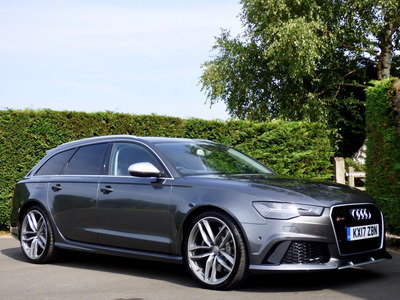 The RS6 Avant, which isn’t available for sale in the US, is powered by a 552 horsepower 4.0-litre turbocharged V8 hooked up to an eight-speed automatic transmission. According to Audi, the RS6 can hit 100 kmph in just 3.9 seconds and reach a limited top speed of 250 kmph. When asked by Business Insider how they could confirm the Audi RS6 they are selling is actually Prince Harry’s former vehicle, Overton Prestige referenced photos on their website that show the car’s current licence-plate number and a single photo of Prince Harry in the car with the same licence-plate number. The Prince, 33, has already had quite a year, as he married his girlfriend, the American actress Meghan Markle, on May 19, 2018 in a stunning ceremony at St. George’s Chapel, Windsor Castle.